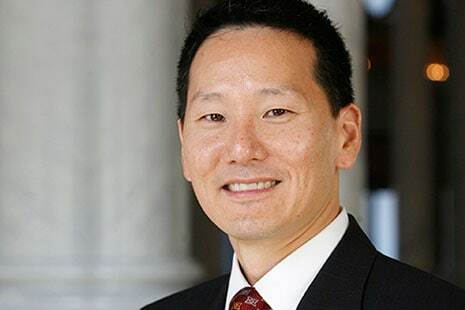 David Mao began serving as acting Librarian of Congress on October 1, upon the retirement of Librarian of Congress James H. Billington after 28 years. Mao has been with the Library of Congress (LC) since 2005 when he served as head of the American Law Consulting Section of the Congressional Research Service (CRS). In 2010 he was appointed Deputy Law Librarian of Congress, then Law Librarian of Congress in 2012, and Deputy Librarian of Congress in January 2015. He has a law degree from Georgetown University and an LIS degree from Catholic University. American Libraries spoke with Mao about one week into his new job. What’s the best thing going for LC right now? DAVID MAO: We have a lot of great things going on right now. Overall, one of the best assets that we have here at the Library of Congress is our staff. Through thick and thin, we have employees who work at the library because they are dedicated to the Library of Congress’s mission, not only to serve Congress, but also to serve the American people. We have quite a few visitors coming through our doors. I’ve encountered many of them just this past week. I bumped into a couple who were visiting from Texas. Hearing what they had to say about the Library of Congress and their respect for what the library does is a great thing for us. What are your top and most pressing priorities for the library? We do have some challenges here. Certainly storage is one challenge for the Library of Congress, despite what we all hear, that everything is digital and available on everyone’s computer. Much of the world’s creative output is something that we need to collect and preserve and make available, and that leads to storage issues. That is one big priority. Also, our technological infrastructure here needs to be modernized. Did the Government Accountability Office (GAO) make some recommendations recently for the library? Yes, those recommendations are among the priorities that we’ve been working on in recent months. The GAO report was published at the end of March, but we had been working on some of the issues they raised even before that. The GAO made 30 or so recommendations, and number one was that the library needed a permanent chief information officer. We do have one now. The new CIO, Bernard A. Barton Jr., started in September after Labor Day. We also have financial challenges. And that’s true for any government institution over the past couple of years. The current fiscal environment makes it much harder for all of us to do the work that we do. That will certainly be one priority—trying to figure out how we can continue within strict budget constraints. As an acting Librarian of Congress, do you feel limited in the number of changes you can make? We have laid the groundwork for many changes in the past couple of months. In addition to the new CIO, we have a new director of national and international outreach, Jane McAuliffe, and a new chief operating officer, Edward Jablonski. These senior staff positions will make a good foundation for a new Librarian of Congress when someone comes in to take the lead of this institution. Do you have any specific plans for any of the LC’s departments, such as the Congressional Research Service? The CRS, the Copyright Office, the Law Library, all of our service units here at the library are led by competent heads. It’s never been the librarian’s place to direct how a particular unit leader would manage an office. The CRS has been around for 100 years. It celebrated its centennial in 2014 and is doing very good work. I fully expect it to continue to support the legislative needs of Congress, providing research reports and analytical support. Do you plan to hire any new staff? Staffing has been a constant challenge for us over the last few years, primarily because of the fiscal challenges. Certainly we would love to increase staffing in certain areas where there is a critical need, and we will do that, assuming that our annual appropriations allow for it. It’s a constant battle for us. We have challenges in funding staff, acquisitions, and other core functions of the library. We have constantly put in requests for funding to support staffing development. CRS is the perfect example, where they have fiscal needs in specific research areas. Do you see LC playing a greater role in advocacy for US libraries? Serving Congress is one of our primary missions, but we also are a library for the American people. We’re your library, as I like to say, because your tax dollars help to support the library. The Library of Congress plays an important role in discussing such issues as access to information and transparency that are important to both libraries and the general public. We show leadership by making sure that those issues are debated in the public sphere, just as we need to provide public access to our holdings and preserve those materials adequately so that future generations will continue to have that access. The Chronicling America project, an online database of historic US newspapers that the library administers with the help of the National Endowment for the Humanities, reached a milestone in October by posting its 10 millionth page. 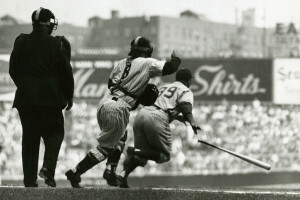 That project demonstrates how well the library collaborates with other institutions, working together on the multiple missions of the Library of Congress. What has been your biggest hurdle? One of the biggest hurdles is finding enough time in the day to focus on all of the library’s projects. There are so many different issues that the Library of Congress is involved in and so many different responsibilities for the librarian—or in my case, acting librarian—that I am still getting accustomed to all the different things that need to be done. It’s a bit of a challenge. One big challenge is how to continue the forward momentum we’ve experienced here at the Library of Congress since January by hiring a new team of senior managers. How important do you think it is for a professional librarian to serve as Librarian of Congress? That’s a great question. It’s very similar to the question of whether a law librarian needs to be both a librarian and a lawyer with both a law degree and a library degree. The way I see it, the background and the experience of the person serving as the Librarian of Congress is critical. 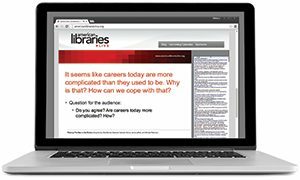 Experience with the scholarly community, experience with digital technology, and experience with managing a large staff—all of these are extremely important and would serve any librarian well. What is the timetable for hiring a new Librarian of Congress? I really don’t know the answer to that. We sit and wait patiently for that announcement to come from the White House, and meanwhile, we continue to do all of the things that we need to do to move this institution forward. 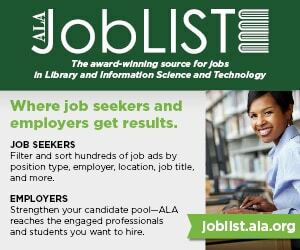 Do you have any plans for working closely with the American Library Association? The Library of Congress values the relationship it has with ALA. I am a personal member of ALA myself, and I look forward to working with other ALA members by focusing on the issues that are important to the library community. ALA President Sari Feldman is planning a visit here sometime in the next couple of months. Past President Courtney Young had come to the library last year. 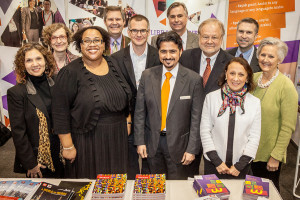 A good collaboration started during Barbara Stripling’s presidency when the ALA Summit on the Future of Libraries was hosted at the Library of Congress in May 2014. I took part in that summit. There were many important questions that were discussed. I look forward to meeting with Sari when she comes to talk about her Libraries Transform initiative and think about how we can continue our relationship with ALA.